Occupation began when the first mothership appeared in the sky. Now they are taking over, one continent at a time. Collaborators, human traitors, are plentiful. Welcome to the resistance. Noa Ash, a lonely teenage girl making entries into her personal journal, takes us on an astounding adventure. 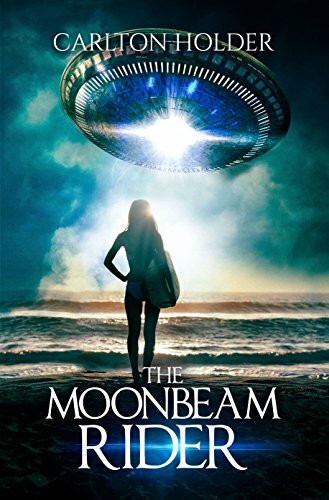 After she is orphaned during an alien attack, Noa is sent to live with a stern grandmother she has never known on Shadow - a once sunny beach that was warped into a hellish place of fog and darkness by a meteorite shower. There Noa finds an old surfboard and begins riding the beach’s cruel waves. As she learns to surf, Noa goes through a transformation of body and soul that turns her from a helpless nobody into a true heroine. But fate has an even stranger destiny in mind for Noa when she discovers an underwater cavern where an archaic robot lay rusting. Only the robot is not a robot. It is a vessel. To resurrect it - the only weapon on Earth Noa believes can stop the alien occupation - she will have to transfer her life force - her soul - into the battered metal hull to pilot it. Aiding Noa in her mission is a strange boy from another time. A boy who Noa finds herself inexplicably drawn to. "THE DIARY OF ANNE FRANK" meets "WAR OF THE WORLDS." novels or planning trips to Area 51.